Dribbble just announced that they’ve sent out a new batch of invites for current users to draft new people. I didn’t get any, but it reminded me that I still have an invite to give away. If you want it, here’s how you can be drafted! I’m going to do a little competition. Last time I just checked out people’s portfolios, but I want to have a some fun this draft round. So make something awesome by hand, take a photo of it, upload it, and drop me a link here or on Twitter. What you’re making is something of a physical Dribbble shot, so even though they are amazing and tasty, I’m not looking for pies (Rogie rocks, by the way). Think along the lines of a postcard, ransom note, art piece, or macaroni and Elmer’s glue. We do so much digitally that I think it will be enlightening and fun to do something tangible. Other rules: Be creative, be goofy, be serious, make a point, or make me laugh. Above all, have fun with it. Get your submissions in by next Friday (October 8th, let’s say 9pm PST). 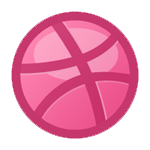 I’ll decide over the weekend and announce a winner who will receive the invite to Dribbble! Update: Since I received zero responses, I decided I didn’t get word out there well enough. Take two - the deadline is now October 31st. Happy Halloween. Not sure if this is what you’re looking for, since I didn’t make it specifically for this challenge (and it’s a scan rather than a photograph), but here’s something I made for a family member who turns 100 years old this year. I used a flexible nib fountain pen to ink the smaller text, and a folded ruling pen for the “happy birthday” lettering. That’s really cool Jessie! That is exactly (one style of) what I’m looking for. Great submission, good luck! or http://blog.dainalightfoot.com ! Here are a few skateboards I painted, what do you think? I am also working some something else, which I will show you later. Cheers! @philiprenich http://idesignncode.com/dribbble/ Have a look Philip. This is not my handwork. But still gave a try. Sweet. I’ll be submitting something soon! Also, if you don’t mind, please check out my graphic design work. I’d love to get a dribbble invite. This is my entry for your Made By Hand Dribble Invite Competition! I embroidered this bird cage with gold thread on white linen to incorporate into an album design I did for a local band. The watercolor & pencil bird on the front cover is unraveling it’s cage. Sorry, the file didn’t upload correctly the first time. It’s a modern statement about Dribbble in old-school crayon style! Congratulations Corbin Watkins on winning! The embroidered bird cage CD casing is beautiful! I love the creativity and out-of-the-box idea it represents. I’ve never seen anything like that for CD packaging. Michael, the crayon look was a lot of fun! Thank you everyone for participating. I was way impressed by all the talent. I didn’t expect such a fantastic response. I wish I had an invite for all of you. Keep searching, you’ll find one, you have the talent! Congratulations Corbin! You deserved the invite! That sure was a fancy handmade birdcage, well done. Thanks for setting up this competition Phillip, it was a good opportunity to get my name around, and a mention from you. I’ll just keep looking for now. Also, if any of you get Dribbble invites to give out, do you mind considering me? Thanks.